Have you ever put something off so long that, out of the blue, you just get the motivation to get it done and move on with life? Well, my goal for today is getting the contents of all my memory cards verified with my laptop and external hard drives, clearing them off, formatting them, and getting them put back in their proper case and into my new (OK, got it as a gift last year but just now using, LOL) camera bag! 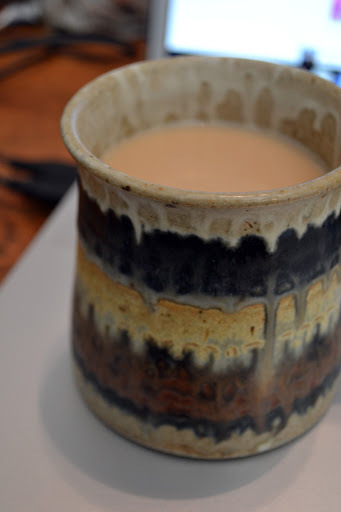 Armed with coffee and a rambunctious niece, I am on a productive roll! Might head to the office to get some things wrapped up before I go back to school (still in Dodge) next week. It will be my last shot at overtime for a while, and I need to pay for those Bose headphones and get a handle on the holy mess that is inventory!! 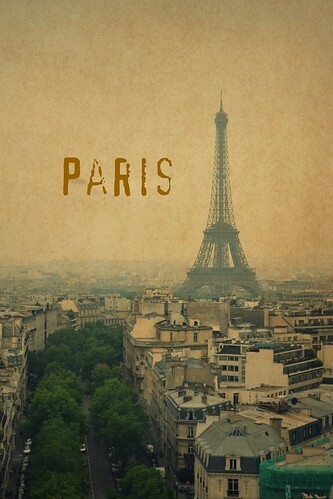 😉 I’m also hoping to catch up with a friend who is on break from university and finally see Les Miserables. Also on the docket for this weekend is figuring out my schedule, which has been giving me a total headache and I am ready to put it to rest! I plan to pay for my classes and get one or two of them changed on Monday and visit my high school journalism adviser. I think I’ve resigned myself to the fact that my TripAdvisor reviews will never be complete, but that’s OK! Life is too short to worry about such trivial things. Perched, a photo by Luke A. Bunker on Flickr. It’s been quite a while since I’ve posted on my blog, so I suppose a picture is a good a way as any to get back in the swing of things! Classes for the year are over and I’m taking the summer off from school to work and do a bit of traveling. Hopefully, being in the land I love will help inspire me and get me back to posting! I hope to make some great memories and take some great photos, which I also hope to do a better job of sharing. This photo was taken in our front yard. 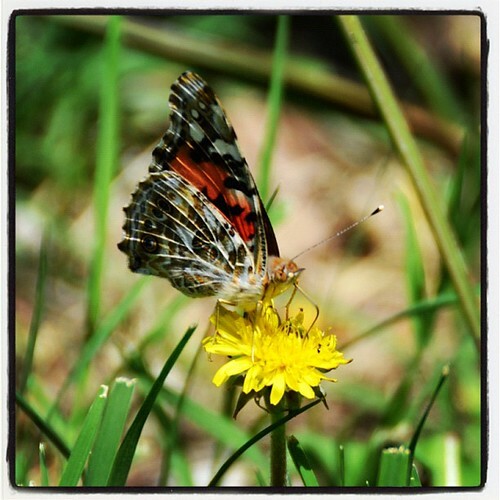 The neighbors probably thought I was crazy chasing butterflies for a good fifteen minutes! Here’s to a great summer of travel and photography! 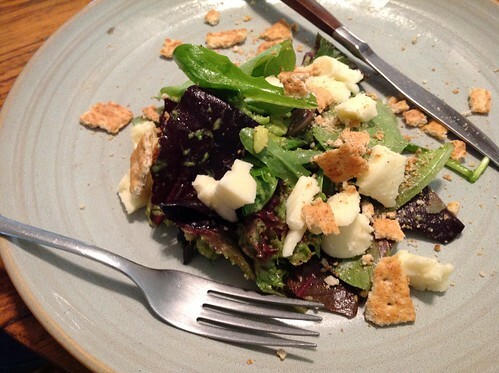 Spring Mix with Acocado, Queso and a little "Club! ", a photo by Luke A. Bunker on Flickr. I hope this Easter finds everyone in happiness and good health. We enjoyed a pretty quiet day today (it was my first church-less Easter, also). We watched “We Bought A Zoo” – a truly wonderful, awesome, positive, inspiring film that I recommend everyone watch with their families – movies like this, including making me teary-eyed, don’t come along often! We also enjoyed steaks grilled by Dad and me, a salad I made (picture and “recipe” included), and strawberries with whipped cream. To top things off, we’re even getting to enjoy a few hours with my precious niece, who turns 9 months old today! 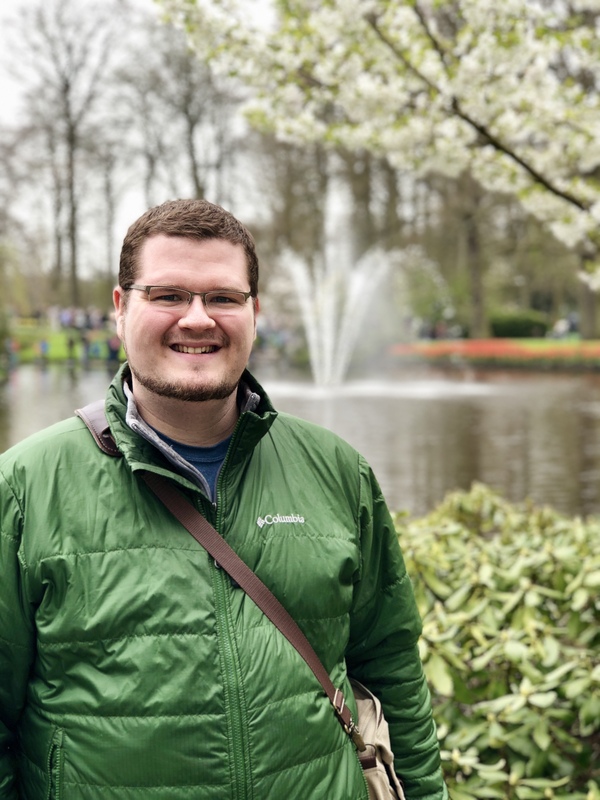 It’s amazing how many things can change in that time – I’ve successfully completed one semester of college and am about to complete another, had a great trip to Arizona, and taken more time for myself. Can’t wait to see what the next nine months wil bring! Mix the spring mix, avocado, salt/pepper and dressing into a large mixing bowl. Then, serve on each plate with desired amount of cheese and crackers for topping. Serves three comfortably but add more of each if serving a crowd. Simple, easy and yummy! First Rose of the Season, a photo by Luke A. Bunker on Flickr. Ah, Spring has been here for a while with daffodils, tulips, lilacs and dandelions (of course! 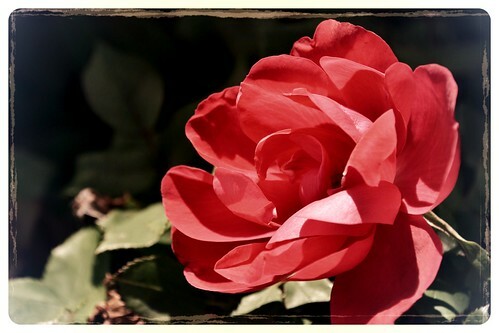 ), but today marked the first rose of the season. One has to love Spring!! 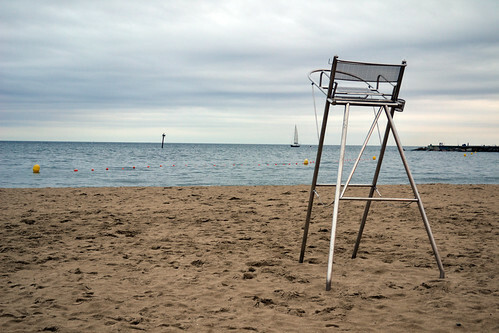 Lifeguard Chair at Barcelona Beach, a photo by Luke A. Bunker on Flickr. I really regret not bringing my camera with me to the beach in Barcelona the one afternoon we were there… (You’re probably wondering how I took this picture, then, am I right? We did go the ice bar in Barcelona on our final night in town, so I was able to snap a few pictures – yahoo!!) I lost out on several photographic opportunities (sailboats and yachts on the marina!! ), but I also had never taken my nicer camera to the beach and was afraid I might damage it. I’ve since learned that my camera is fairly durable, and if I take caution and care, it will be fine. Moral of the story? When I am on vacation, I will never, ever, ever leave my camera at the hotel!! 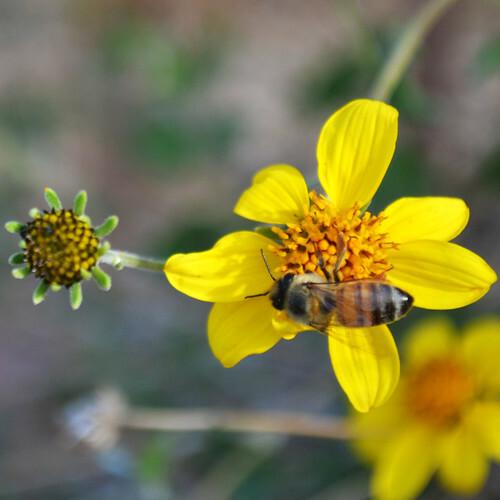 Where the Gold Bees Dream…, a photo by Luke A. Bunker on Flickr. This photo is an homage to my awesome friend, Laura George, of LKG Photography. She and her blog, wherethegoldbeesdream.blogspot.com, are an inspiration to me to live life better, learn more about myself and my world, and truly live life positively and to its fullest. She attributes this quote – "Where the Gold Bees Dream" – to Oscar Wilde. 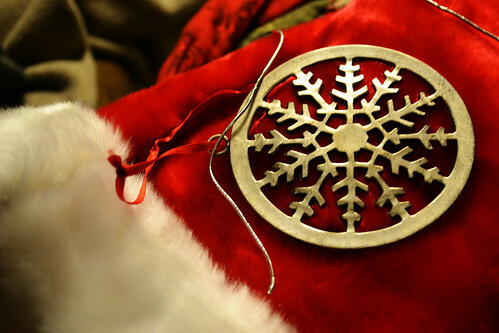 Christmas Ornament, a photo by Luke A. Bunker on Flickr. We had a great Christmas Eve last night (where it is tradition to look at lights around town and then come home to eat snacks and open gifts). It is my niece’s first Christmas, so we are especially fortunate to have shared in the joy and cheer of Christmas with her! I want to wish you all the merriest of Christmas and the happiest of new years!! My brother’s girlfriend received this ornament as a present for Christmas, and I just had to snap a pic! 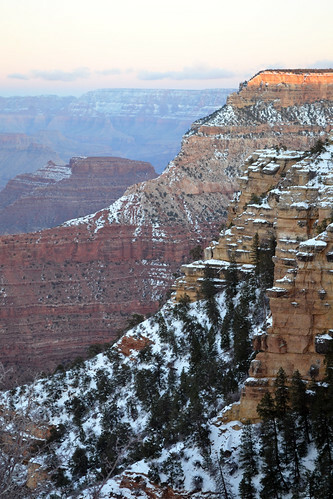 Grand Canyon in Snow, at Sunset, a photo by Luke A. Bunker on Flickr. I recently got back from my trip to Arizona, where I met my brother in Phoenix. He ended up getting out of training early on Friday, so we blazed through Flagstaff to get to the Grand Canyon during sunset – what a beautiful sight! However, I must say that it was a "Dodge City kind of" cold day – the wind from the Grand Canyon was fierce, but we enjoyed it all the same. Don’t worry – there are more pictures to come!